This summer brings the 5th anniversary of the grand opening of the Ann Arbor Skatepark. We officially opened the skatepark on June 21, 2014; International Go Skateboarding Day. That historic event featured professional skateboarders including Tony Hawk, as well as contests, music, food, and most importantly… skateboarding! Thousands of people from across the country attended the event. This year we will celebrate the success of the Ann Arbor Skatepark with a similar event featuring nine-time skateboarding world champion Andy Macdonald, recent Birdhouse Skateboards pro Alec Beck, musician and professional skateboarder Ron Allen, LA Rams running back and skateboarder John Kelly, midwest hero and nearly-pro skater Gabby Rataiczak, and more special guests TBD. The 5th Anniversary Celebration, “Light up the Park,” will be a fundraising event to help raise money to install lights for the skatepark. Adding lights will increase the time people can use the skatepark, especially in the fall, winter and spring. We’re having a poster design contest for this amazing event. The poster will be used to publicize the event on social media, our website, and it will be posted in as many places as possible in the region. What’s in it for you? Well, you’ll be helping the best skatepark in the world get lights. And if that’s not enough, the winner of the poster contest will receive an A2 Skatepark deck from our grand opening signed by Tony Hawk, Andy Macdonald, Alex Sorgente, Tony Magnusson, and Garold Vallie. The winner will also get $50 cash, AND a $50 gift card from our friends (and from-the-beginning supporters) Vault of Midnight! Second and third place winners will receive a premium A2 Skatepark swag bag filled with $100 worth of A2 Skatepark merchandise. The deadline for submissions is Wednesday, May 1, 2019 at noon. The poster contest winner gets a deck just like this one, signed by Tony Hawk, Andy Macdonald, Alex Sorgente, Tony Magnusson, and Garold Vallie at the Grand Opening of the Ann Arbor Skatepark five years ago! The poster contest winner gets a fifty dollar bill just like this one! Design a poster using whatever media you see fit. Send it to us in PDF form, and we’ll have our esteemed panel of art critics judge the entries. 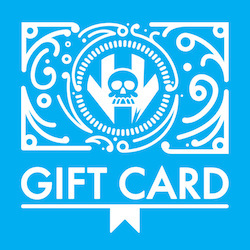 The grand prize winner also gets a $50 Vault of Midnight gift card… Yeah boooooy!